A promise is a promise! You can update JA Sensei on your devices to get the same features as on the website for Japanese example sentences. You can set up the options to meet your needs, your objectives, or your way of working. NOTE: for Premium users, remember to re-download the “Grammar” module. No need to update the other modules. @JRCyrin: This problem has been fixed, I'll do my very best to release the new version by the end of the week so that you don't have the issue any more. I'm also working on integrating new tracking stats in the app, but I'm not sure I'll be able to make it for the next release. Just an afterhtought; I think adding a hold function the gear icon should also automatically hide everything. Let's say you already tapped it once to display Furigana, tapping and holding your finger on the icon for at least a second (or half a second - if possible), hides the Furigana. Romaji already visible along with the Furigana? Simply hold the gear icon and both disappears. Or there might be others who would prefer holding the icon to display everything instead of hiding what's visible. Yup, having more buttons can be really distracting. The gear icon looks more "natural", like it really belongs next to those sentences. I bought the Human Japanese App and underneath most Japanese sentences has "(show romanization)" underneath it. And underneath the latter, it has "(show translation)". It doesn't look as clean as simply having a single button. I haven't touched the HJ App for months already because I find your app more useful and I bought the Intermediate version, which somewhat requires things taught on the Beginner App (another purchase). I forgot all about the translation for each sentence by the way. So that makes tapping the gear icon the third time display the translation underneath the Romaji. 1st Tap - Display Furigana above Kanji. 2nd Tap - Display Romaji below the sentence. 3rd Tap - Display the Translation below the Romaji. 4th Tap - Hides Furigana, Romaji and the Translation (loop back). I can't think of any other efficient way for the gear icon to function. And no worries, there's no rush! You can add improvements suggested by others as you see fit. I'm already grateful for having Furigana finally implemented and you even considered my suggestion! @Lightpost: Great minds think alike. First I didn't mean to add the gear next to each sentence, but I did so after reading a user's comment that explained to me his/her way of working with the app. As time is what I lack the most in this activity, I simply added a gear for each sentence that was a link to the general settings. ButI did think of a way more useful for users, and thought the way as you. My intention will be to add a button (probably changing the gear icon that would not reflect the function any more) that will switch from one view to another and only for the selected sentence as you explained. I also thought of adding separate buttons, but if there are too many buttons, it may well disturb the users, and it makes the interface harder to understand. So the first step was to add the current solution so that I didn't have to spend too much extra time on this task and start working on other user-awaited features and contents. But the second step will probably be the procedure you described below. Yes, I intend to update the examples in the lessons as well. I have to do that manually and I'll also need to record the audio for those examples (currently not the case in the lessons). I'm currently working on new lessons, so I'll do that first, and update the examples later. 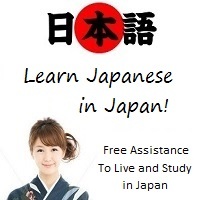 - JLPT: we are currently looking for a way to integrate more wocabulary for JA Sensei, including the lJLPT levels. There are some technical contraints because each word has an audio file, and the quantity of data is huge. - Verbs: that's right, they are not linked. Adding all these verbs into the vocabulary section is not my priority because you won't ever use most of them, so it would be a time-consuming job for little result for users. The objective of the Verbs module was to provide accurate conjugation, but I understand that i can help as a verb dictionary, too. I don't have a good solution for that for the time being. I'm constantly creating new words, and among them are many new verbs as well. So what could be a solution later would be to group all verbs existing in the vocabulary module to generate an independent list. - Well, translating into another language takes a lot of time and money. I actually started translating the app into Spanish, but progressively. The problem is that Spanish people started to rate the app negatively when I did that because they complained it was only translated partially. I was flabbergasted and didn't expect that, so I stopped integrating new languages because I'm alone programming the app, and providing a full translation is beyond my financial capacities. If at least people could have supported me more in this job, I could have go on, but with negative ratings it was quite discouraging with all the time and money it required, so I thought it was vital for the app that I should focus on more productive and useful tasks. Sorry about that, I hope you can understand, and I understand it may be frustrating for users, too. Maybe if I can one day grow my activity much more, it will be possible again. *to hide the guide that pops up on top(Furigina) and below (Romaji) the senteces. *quickly tapping the gear icon to show/hide what I need to read isn't that hard. Those gears at the end of each example sentences does the job of acting as flashcards for reading the text - whenever I forget how to read a certain Kanji, I just have to enable Furigana as opposed to what I used to do; tapping on the Kanji and looking at each reading (On/Kun) but it still has me going back to the sentence to see the context in which the Kanji is used. I've already memorized Kana so I no longer need Romaji (disabled). I'm currently going back through the Lessons Module from the start as a refresher again. I also haven't read the last five lessons yet. Haha! I'm hoping that those gears will also be present for example sentences there, as well as on the very first page of each lesson where we read Japanese conversations. And I'm thinking about removing the option to display Kana because not only that it makes the text longer, Furigana already does the job better. I'm thinking of having the sentences display Kanji as default. Tapping the gear icon the first time will make Furigana pop out on top, and for those who haven't mastered Kana yet, tapping the gear icon the second time makes Romaji pop below the sentence. Tapping it for the third time will hide both Furigana and Romaji (each tap cycles through the three options). So whenever someone gets in the "How do I read this again?" moment, they simply have to tap once or quickly tap twice (for those who don't know Kana yet) and then do a quick tap twice/once to hide the guide the pops up on top(Furigina) and below (Romaji) the senteces. I initially thought of separate buttons for Furigana and Romaji instead of the gear icon at the end of each sentence but I believe the single gear icon already works well enough and developing the habit of quickly tapping the gear icon to show/hide what I need to show isn't that hard. Thanks Raphael for the update! This app is amazing, thanks for your everyday work Raphael. Some comments from me would be. - To have JLPT vocabulary (as in kanji). - I don't know, but there many verbs in VERBS module but they are not included in VOCABULARY module. As I used the quizes very much, to have dictionary base of those verbs in the vocabulary module would be great. - The last, well, I'm mexican so if the spanish version of this great work is available, better than using english as bridge. I'll keep on studying. Thanks for this great tool.